Kent 'Rat' Rathman is an agent with the CIA. Technically he is a Lieutenant in the U.S. Navy, an experienced and highly decorated member of the Seals, a man who has spent a fair number of his adult years fighting in various parts of the world including a stint in Bosnia attached to the French Special Forces. When his current tour was coming to an end, working with the Navy's Dev Group as a counter-terrorism expert, and it looked like a transfer to become a training instructor, Rathman was less than thrilled for he wanted more action, more challenge. At the same time, the CIA was establishing a new Special Activities Staff, or SAS group, and they needed someone with considerable experience to head it. Rathman is said to be fairly tall and sinewy, strong without being muscle-bound. He has dark skin which lets him fit in well in many parts of the world though his bright blue eyes, when seen, tend to break any illusions. He is trained to speak several foreign languages like a native, especially Arabic and he can switch back and forth between them without hesitation. Blessed with a sense of humor, not to mention authentic humility when it comes to his own achievements and abilities, Rathman has had trouble at times with superiors who want more respect from him than he is able to muster. He is seldom outright disrespectful but he has a tendency to smile when he encounters pomposity and if he is asked a question, he will answer it forthrightly, even if the asker really did not desire the truth. Sharing the stage in this two-book action series is the very intelligent, gutsy, and attractive Sarah St. James, a woman who knows the hallways of bureaucracy like Rathman knows the alleys of the world. She and Rathman are friends with considerable respect for each other. As she has climbed her way to the position of National Security Advisor to the President, that ascent has been helped by her habit of seeking the advice and opinion and facts from people who do the actual work, such as Rathman, as opposed to those who played the promotion game. She takes considerable pride in the fact that when she states an opinion, it is backed with a great deal of thought and facts. 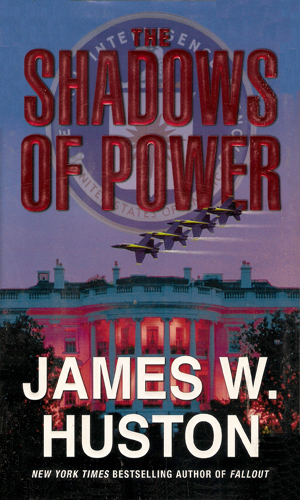 As the two lengthy adventures unfold, attention shifts routinely from the action of Rathman, either alone or with his CIA-sponsored team, and the White House politicing that St.James has to do, making for interesting changes in perspective. Recently seconded to the CIA, Kent Rathman is given the task of tracking down an Algerian who, helped by terrorists, is plotting revenge on the U.S. and on one Navy pilot for the death of his brother in a dog-fight. A mission into the Sudan to capture one of the world's most wanted terrorist leaders results in an unfortunate death and Kent Rathman finds himself on trial for war crimes. The terrorist had already set into motion an attack on the U.S. and the one man able to stop him faces prison time. There are a fair number of spy series in which the protagonist gets shafted but there are not many that gets the reader as annoyed as this one did me. Rathman did not deserve anything like what happened to him and the rotten folks who made it happen did not get their comeuppance to any deserving degree. Things work out well in the end but still, it was disturbing while it lasted. And that says a great deal about the author and the quality of his writing when you can care about the make-believe problems besetting a fictional character. 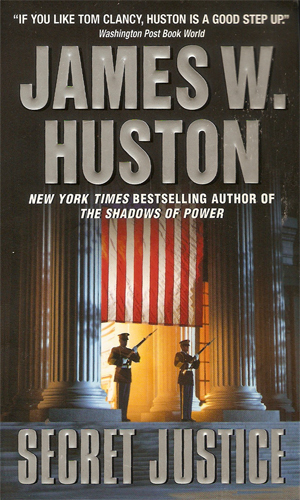 Mr. Huston is decidedly a very good writer and I hope elects to write more in a series since that is what I concentrate on. On second thought, he should write whatever he wants because he is that good and I will read them, series or not.